Have you noticed your headlights becoming hazy? Are you thinking maybe you should replace them with new ones? Well, there is no need for replacement; a simple headlight restoration job will have them looking amazingly clear and sparkly. Most car headlights are made from a durable plastic polycarbonate which can withstand scratches and a certain degree of impact, so you do not have to change it; you just have to restore it. The fog you see on that headlight is as a result of exposure to sunlight, and other elements that cause oxidation. With the right tools and cleaning formula, you will see a world of difference. This is more of a practical step that some people may choose to skip, but it is wise to follow. If you wash and wax the car, first of all it will look good and will match the final look with the restored headlights, but more importantly, waxing the car prevents polish stains from sticking onto the body of the car. You will need to use painters’ masking tape to cover off the area that surrounds the headlight. It would save some masking tape and reduce the risk of stains if you opened the bonnet instead of masking that part as well. Painters’ masking tape is the best choice because the tape comes off easily and will not leave marks that are hard to clean off. Sanding the headlight is intended to remove the old layer of plastic which is causing the fog. You should note that not just any sanding paper will do. You will need a series of grades. To start with, you will need to use a 1000 grit wet/dry sandpaper. Soak it in cold water for about 10 minutes. Spray some water on the headlight using a spray bottle and then begin to lightly sand it in a straight line, preferably from left to right. You should notice the yellowing on the surface coming off and exposing a pale rough surface. (No need to worry about the scratches you see on the surface; they will all come off) ensure that as you sand, you do not scratch the body of the car or any surrounding surfaces like chrome rings around the lights. Also keep on wetting the surface as you sand. Keep on drying the surface with a dry cloth to check the progress made and the uniformity of the sanding. When that is done, you will graduate to a 1500 grit sanding paper, repeat the process of soaking it in water and then wet the headlight and this time, sand in a right angle to the direction you were sanding before. Repeat this process with a 2000 and 2500 grit sanding paper. When you are done sanding, the surface will have some scratches and will be rough, polishing helps to remove these scratches. First buffer the surface with the polish, covering every inch with the polish. Begin to make circular rubbing motions with the cloth to get the polish into the surface and remove every compound on the surface. This is not a process you should rush through, take your time and ensure it is done well. You could use an orbital sander if you have one for an even better shine. Keep on polishing until you see that the lens is shiny. Now to refine the surface, use car wax paste to make it look better, this will also protect the headlight from acid rain, dirt and other degrading compounds. This however is not permanent protection. The sealant will last a lot longer than the wax and it will provide protection from the UV light which caused the fogging in the first place. If you do not apply the sealant protection, in a few weeks time you would be right where you started. As you can notice, headlight restoration is quite a process. 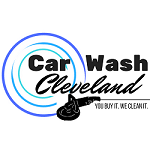 To get the best results, engage the experts at Car Wash Cleveland.